As the wife of a professional baseball player, Alisha Perkins has long struggled to find an identity of her own–a struggle made worse by an anxiety disorder that has plagued her since childhood. One afternoon during spring training, Alisha, eager for a few minutes to herself, decides to take a short run around the neighborhood. What she discovers is her first taste of the elusive runner’s high, a release of her pent-up anxiety, and a chance to find her voice. 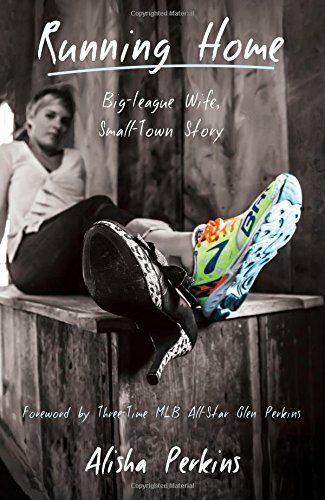 As Alisha progresses from shorter distances to full marathons–eventually organizing charity races of her own–she is able to let go of the nagging sense that she is ”competent but not complete,” even as the demands of training compete with those of family and baseball. A memoir that will resonate with anyone who has struggled with self-doubt, Running Home is a poignant meditation on the steps that hold us back, and those that push us forward.